High Risk Merchant Account Providers UK Merchant account providers classify merchants according to the risk that they pose. Risk is assessed according to several criteria which include the credit risk of the business, its trading history and prospects, and the business sector in which it operates. High street banks and other mainstream merchant account providers refuse to provide merchant accounts for high-risk businesses, however there are many high-risk merchant account providers who are happy to provide merchant accounts for businesses with bad credit histories. Bad credit can refer to an individual who is a director or owner of the business, the business itself, or both. Credit records will show details of borrowing and repayments while highlighting any missed or late payments as well as any defaults, county court judgments (CCJ's) or bankruptcies. 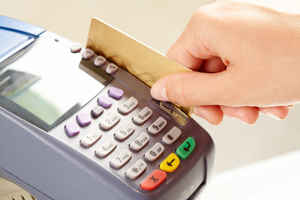 Merchant account providers use complex processes in assessing merchant risk. These include factors specific to the individual enterprise as well as ones that relate to the business sector in which the enterprise operates. Read on for the main factors. The track record of a business is an important consideration. New start-ups with limited capital are generally considered to be high-risk, particularly if the credit card processing volume is high compared to cash in the bank. If the business principals have a blemished credit record then the likelihood of the business being considered high-risk is increased; although this can be ameliorated if the principals can offer personal guarantees. The way in which the business accepts payments is important in assessing risk. If the business takes payments in advance, for instance for a subscription, the risk is considered to be higher. When there is a long time span between payment and delivery there is an increased chance the business could stop trading. The further in advance the business collects payments, the higher the risk. Additionally, payments taken online or over the phone are considered to be higher risk than those taken when the card holder is present during the transaction. Naturally as the providers are accepting a high risk, it is only natural that they will mitigate this by offering accounts on less favourable terms. For instance there are likely to charge higher transaction fees, an extended settlement period to reduce the possibility of a charge-back, a rolling reserve fund to act as a payment buffer and high annual and monthly fees. Some high-risk merchant account service providers charge businesses a fee just for applying for an account. Not all high merchant account providers assess risk in the same way. While some might consider you to be very high risk and make it difficult for you to obtain a merchant account on reasonable terms, others might treat your business as being just a medium risk and be able to provided you with competitively priced merchant service. Some providers specialise in providing merchant accounts for specific high risk business sectors such as adult services and gambling that others won't consider. As they specialise in such sectors they are skilled assessing and mitigating the real risk and thus can offer accounts with realistic charges. For merchants who cannot obtain a high-risk merchant account in the UK, a fallback position is to set up an offshore merchant account. There are several offshore high-risk merchant account providers that you can research, but it is important to be aware of all the consequences of an offshore account. The downsides of an offshore account can be considerable. It might only be possible if you incorporate your business in the relevant jurisdiction, it might be difficult and expensive to deal with any legal disputes with the supplier, rates could be significantly higher and it could have a negative impact on your business reputation. However there are upsides too, for instance there could be tax advantages especially in some market sectors such as gaming.